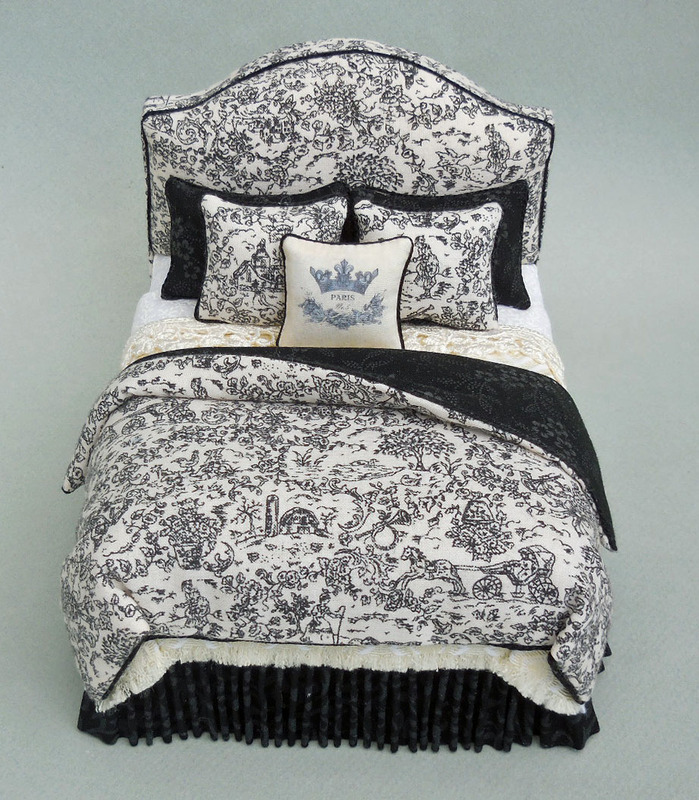 'Tre Chic' petite Black Toile combines with black silk quilt and black on black dust ruffle. With ivory lace-edged sheets and an ivory blanket. The bed is 6" long, 4 1/2" wide and 5" high.